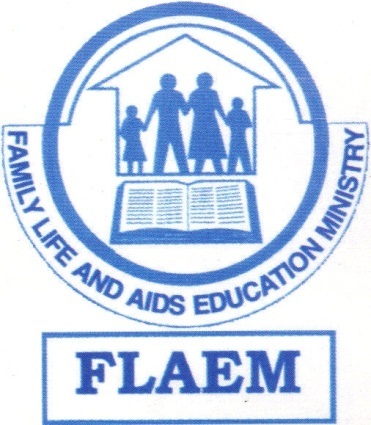 Family Life and AIDS Education Ministry (FLAEM) is a faith-based inter-denominational Christian organisation that was officially registered by the Malawi Government under the Trustees Incorporation Act on 17th March, 2000. FLAEM is also a member of the Council for Non-Governmental Organisation of Malawi (CONGOMA), registration number C157/2003 and the Evangelical Association of Malawi. FLAEM sees marriages and families strengthened and communities being positively transformed and rising above the scourge of AIDS. FLAEM provides Biblical teaching on family life, marriage, HIV and AIDS. An improvement in Biblical knowledge and its application by church leaders and Christians generally. Full practice of an uncompromising, spirit empowered Christianity. The marriage covenant widely understood and honoured. Eradication of ignorance about HIV/AIDS which is fuelling the spread of the disease. Children and young people valuing themselves enough and empowered to make good decisions, especially in the area of HIV/AIDS. There has been spiritual strengthening of people through bible studies and prayer. People have been empowered to study and apply the Word. Others have accepted Jesus Christ as saviour. Marriage has been strengthened, with people getting formally married, renewing their marriage vows, committing to one partner, going for couple counselling and so forth. People’s knowledge of HIV/AIDS has increased, with more people going for VCT. There is increased openness in churches to talk about HIV/AIDS and sexuality. HIV committees have been formed is some churches and some pastors have even confessed and repented of wrong behaviour. Traditional healers have changed some of their dangerous practices (e.g. sharing cutting implements between patients) and are more ready to send patients to hospital if need be. There has been a reduction in teenage pregnancy in areas where FLAEM has worked. There has been an increase in caring responses within communities e.g. preparing food gardens for the poor and orphans, and home based care. Pupils and teachers in primary schools changing positively in different aspects of their lives. The Bible truth has power to set human beings free. Through this power individuals trapped in every order of human failure are transformed from sin to dignity and destiny. The soul is healed by the power of the Holy Spirit. God designed the marriage bond to be a lifelong relationship. God intended for couples to live happily ever after once they become one body. Unfortunately, by the look of things mankind has not learned how to do this. Although everyone wants a good marriage, few are willing to follow God’s instructions that, if followed, would produce loving, committed relationships. Since God is the designer of marriage, we need to learn from Him for success in marriage that would lead to strong families. Families are the building blocks of communities, societies and, ultimately, civilizations. “A society is only as strong as its marriages and families”. Role models have a lot of influence on behaviour. We therefore need positive role models whom we can look up to and draw inspiration from. Self-respect and self-esteem are key qualities of positive role models. The world is looking for people whose message is “do as I do” not “do as I say”. It is sad that today boundaries of acceptable behaviour are shifting. Values are being thrown into the bin. We are motivated by our love for God and our neighbour and by a passion for people to know the salvation of Jesus and become His disciples in every way. The work of FLAEM is leading to changed behaviour (see Impact above). The FLAEM model looks at a community holistically to address factors that lead to family breakdown and the spread of HIV. It is an approach that empowers people through skills development, giving information and providing mentorship. FLAEM has dedicated board members, from different disciplines, who work together well to promote the work of the organisation. The staff of FLAEM is very committed and work together well. They are trained and their skills developed. The spouses of both staff and board members are also very supportive to the work of FLAEM. The organisation has a committed, visionary leader. FLAEM has a good relationship and reputation with other NGO it works with, both local and international. FLAEM is seen as a key player in the HIV and AIDS field even by non-religious institutions (Behaviour Change programmes with National Organisation for Nurses and Midwives of Malawi, The Police Victim Support Unit, Prison Services and Mulanje School for the Blind to mention a few). FLAEM has the experience to transfer its wealth of knowledge and skills to other institutions (has worked institutions like Ghana Institute of Linguistics and Bible Translators -GILLBT, Reformed Church of South Africa – KwaZulu Natal, Good News Media – South Africa, Stephanos Children’s Home – Malawi and Mulanje CCAP Mission Hospital). FLAEM is permitted by the Ministry of Education to run a programme called WHY WAIT in the primary schools in Malawi.